Louise Françoise Le Blanc de La Vallière is a self-absorbed mage in a world of wands, cloaks, and royalty. 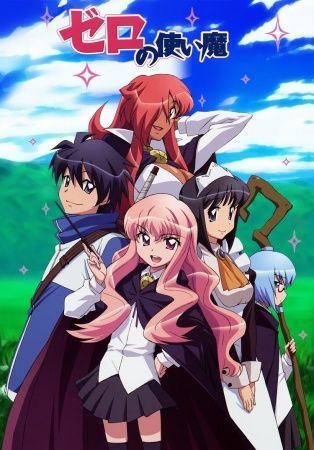 Although she studies at Tristain Academy, a prestigious school for magicians, she has a major problem: Louise is unable to cast magic properly, earning her the nickname of "Louise the Zero" from her classmates. When the first year students are required to perform a summoning ritual, Louise's summoning results in a catastrophic explosion! Everyone deems this to be yet another failure, but when the smoke clears, a boy named Saito Hiraga appears. Now Louise's familiar, Saito is treated as a slave, forced to clean her clothes and eat off the ground. But when an unfamiliar brand is found etched on Saito's hand from the summoning ritual, it is believed to be the mark of a powerful familiar named Gandalfr.